Moorpark is a small city located in Ventura County. With a population of approximately 36,000 people, Moorpark is a lovely place to raise your growing family. Home of Studio Movie Grill and Gardens of the World, Moorpark is also a nice place to enjoy your family’s vacation. Whether you are strolling through the Gardens or enjoying lunch, don’t let a toothache pain your day. 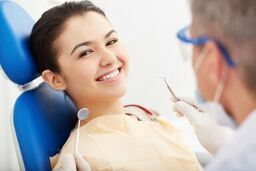 When you need to find a dentist with walk in availability or extended hours in Moorpark, emergencydentistsusa.com can help. We have compiled a list of dentists and dental specialists that are close by. The only thing you need to do is look at the list and choose the dentist you want to visit and give them a call. If you are in a hurry or cannot view the list right now, but you still need to see a dentist, please call our toll-free dentist finder hotline. Our team of professionals is trained to listen to your needs and help you find the dentist or specialist that is right for you. We will look at nearby options and let you know who is closest to you, their hours of operation, and what insurances they accept. All you need to do is tell us which dentist you want to visit and we will schedule your first appointment for you. We do suggest that you arrive approximately 20 minutes prior to your scheduled appointment time and that you bring a picture ID, your insurance card, and any applicable copayment you may have. We know you may find it difficult to find a dentist you can trust when you are on vacation. Moorpark makes it easy with a fine selection of general and pediatric dentists to choose from when you are suffering from a dental emergency. If your new dentist finds something that requires a specialist’s treatment, we also have a great selection of orthodontists, cosmetic dentists, oral surgeons, and much more. Description: Paul Jang Dentistry offers same day and next day appointments for your dental emergencies. The Dr. at Paul Jang Dentistry is experienced in preventative dental services, fillings, crowns, bridges, root canal therapy, extractions, dentures, implants, veneers, and much more. If your new dentist determines that you are in need of specialized dental services he will be happy to refer you to one of his friendly colleagues. Description: The dentist at Pearls Dental Center offers same day and next day appointments for your dental emergencies. Dr. Ludwig is experienced in preventative dental care, fillings, crowns, root canal therapy, extractions, dentures, implants, and much more. If your new dentist determines that you are in need of specialized dental services he will be happy to refer you to one of his friendly colleagues. Description: The dentists at West Family Dentistry care for pediatric and adult patients. West Family Dentistry is a general and cosmetic dentistry practice. The Drs. at West Family Dentistry offer same day and next day appointments for tomorrow dental emergency. The Drs at West Family Dentistry are experienced in all aspects of general dentistry including preventative dental services, fillings, crowns, bridges, root canal therapy, extractions, dentures, implants, and much more. If your new dentist determines that you are in need of specialized dental treatment they will be happy to refer you to one of their friendly colleagues. Before you visit a new dentist in Moorpark, please take a moment to verify that your new dentist’s licenses and credentials are active. To do this, you should visit the California Dental Association’s website and perform a search of the dentist’s name and licensing information. If you are in a rush talk to your new dentist’s receptionist, she will be happy to assist you with obtaining copies of these documents.